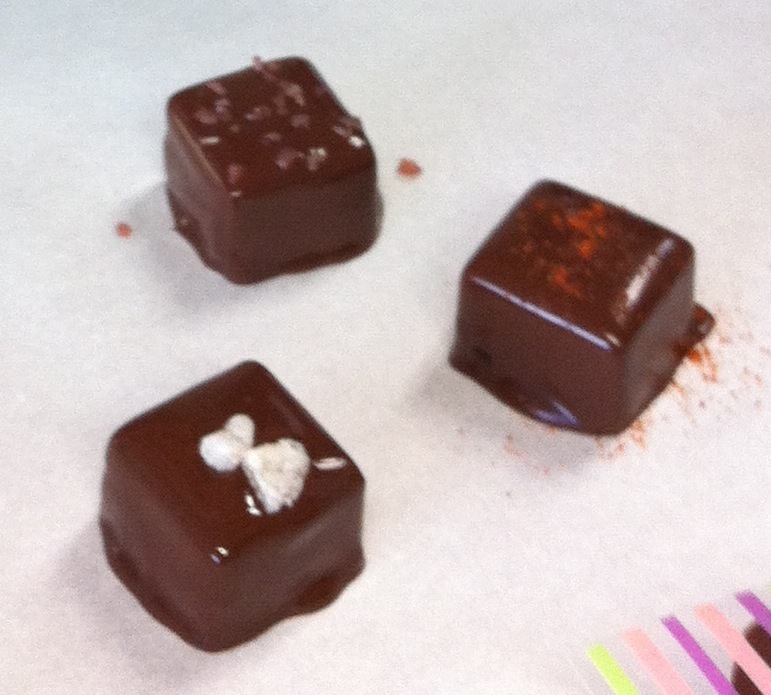 You may be asking why you ever need to know how to “temper chocolate”. You (as well as I) once believed I just needed to melt some chocolate, dip what I wanted in it and let it cool. First off, that doesn’t always work. Sometimes the chocolate just doesn’t harden when you let it cool (i.e. my disaster of a Chocolate Covered Pomegranates). But even if it does harden, it may not have that smooth, shiny look to it. 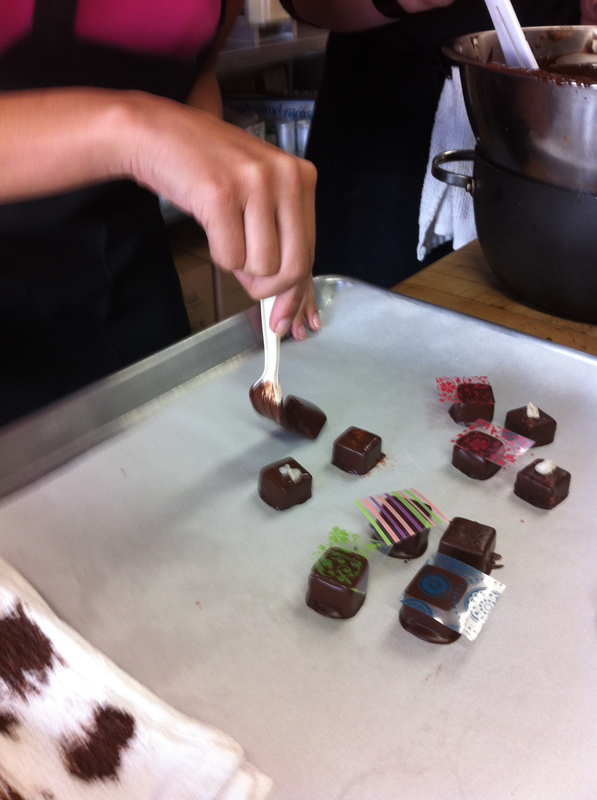 That’s why tempering is so important. It may seem like a pain, and the directions may make it seem like it’s this highly complicated process, but it really isn’t. It’s just important to be checking the temperature of the chocolate. Other than that, just stir. Remove the chocolate from the double boiler and wipe the bottom of the bowl completely dry. One drop of water in the melted chocolate can ruin the entire thing (hence the Chocolate Covered Pomegranates disaster of 2011). *** Make sure the bowl that the chocolate is melting is 1-inch between the surface of the hot water and the bottom of the bowl. DO NOT let the chocolate bowl touch the water bowl. *** As above, make sure the bowl is 1-inch above the cool water. Do not allow the bowls to touch. 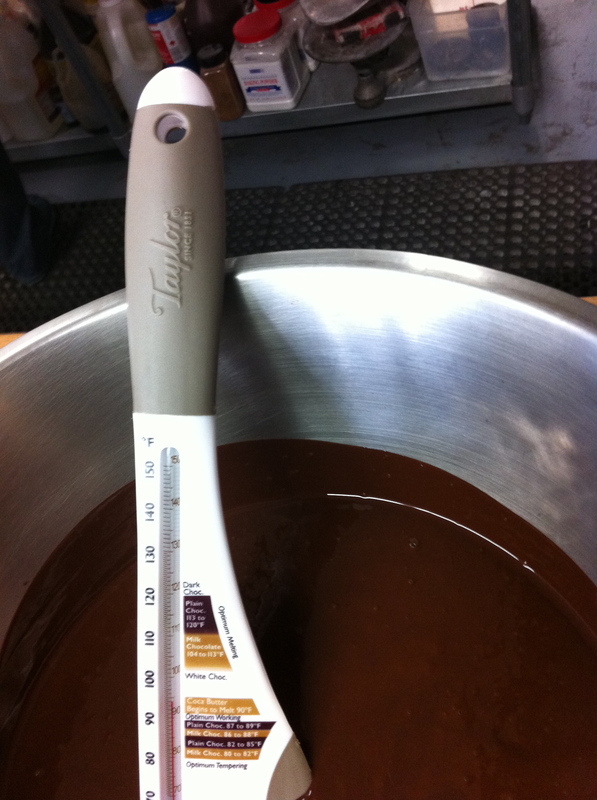 Step #4 Hold – You have now tempered chocolate! Pat yourself on the back. Then make sure you keep the chocolate between the above optimum working temperatures, using the double boiler as needed. Now dip your goodies as desired. Make sure that anything you coat with the chocolate is dry. For goodies that aren’t fresh fruit, we found the best method is to rest the item on the top of a plastic fork. Dip in the chocolate and then scrape any excess chocolate on the bottom of the fork on the side of the bowl. 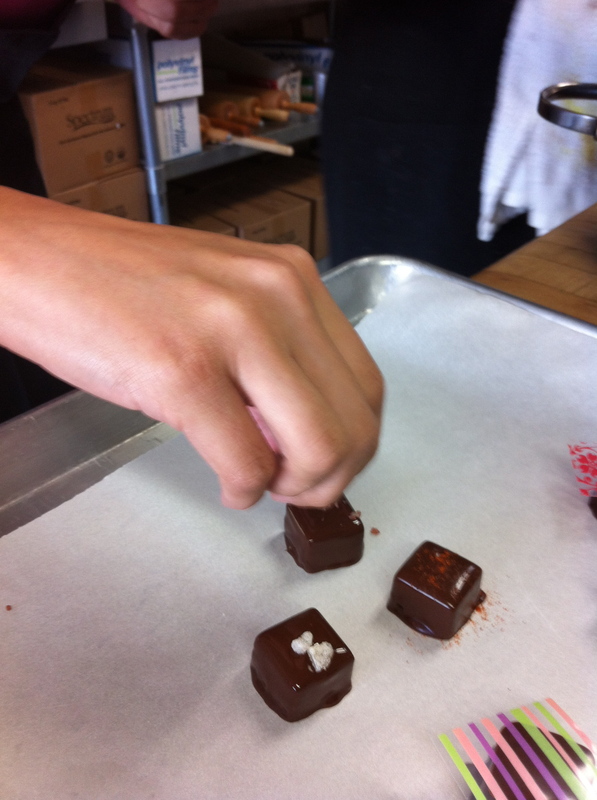 Then gently place the chocolate on a parchment lined surface. In the pictures of these posts, I dipped the Chocolate Cream Truffles I made in my last post.If you are using fresh fruit, spoon the chocolate over the fruit. Do not dip it. Then decorate the tops if your heart so desires!